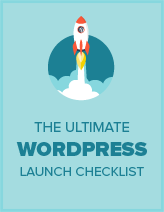 Are you looking for a SEO plugin for your WordPress website? All in One SEO Pack is a popular WordPress SEO plugin used by over a million websites. In this All in One SEO Pack review, we will take a look at its features, performance, and ease of use. Do You Really Need an SEO Plugin for WordPress? We have heard from many beginner users that why they need an SEO plugin? Search engines are the primary source of traffic for most websites on the internet. Each day thousands of new websites appear on the internet competing for the top rankings in search results. Like it or not those keywords where your website appears on top in results are valuable to many other businesses and websites. They are improving their SEO to compete with you for rankings on those results. You may also be surprised to find out how much traffic you are missing by not optimizing your site properly. An SEO plugin helps you create website that is search engine friendly. It helps you discover new audiences and get more traffic and sales from your website. As the name suggests, All in One SEO Pack strives to become an all inclusive SEO package. It is a powerful plugin with lots of features and options. Simply visit All in One SEO » General Settings to configure the global settings for the plugin. The general settings page alone has different sections which you can setup as you scroll down. It has homepage, title, custom post types, keyword, display, noindex, advanced settings, etc. All in One SEO Pack also allows you to verify your Webmaster tools account from the General Settings page. 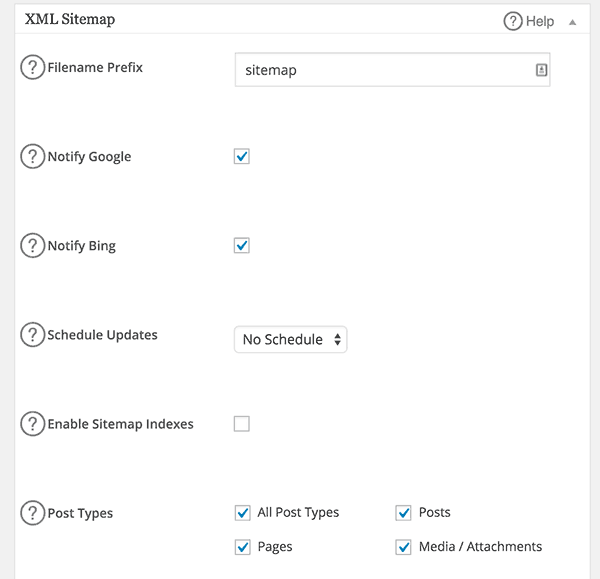 You can also add your Google Analytics ID to easily setup Google Analytics across your website. Take a look at this user’s guide for All in One SEO Pack for detailed instructions. 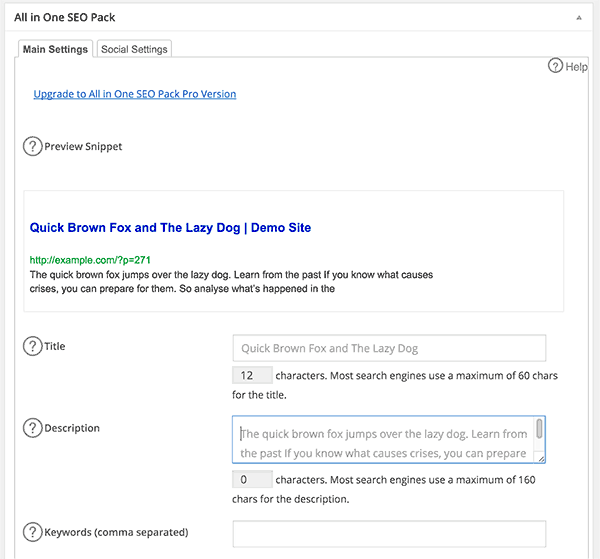 All in One SEO pack adds a custom meta box below the post editor for every content type (posts, pages, or custom post types). Using this meta box you can define a custom title for each post, add meta description and keywords. Apart from the basic meta tags, you can also edit several advanced aspects of your page or posts SEO. 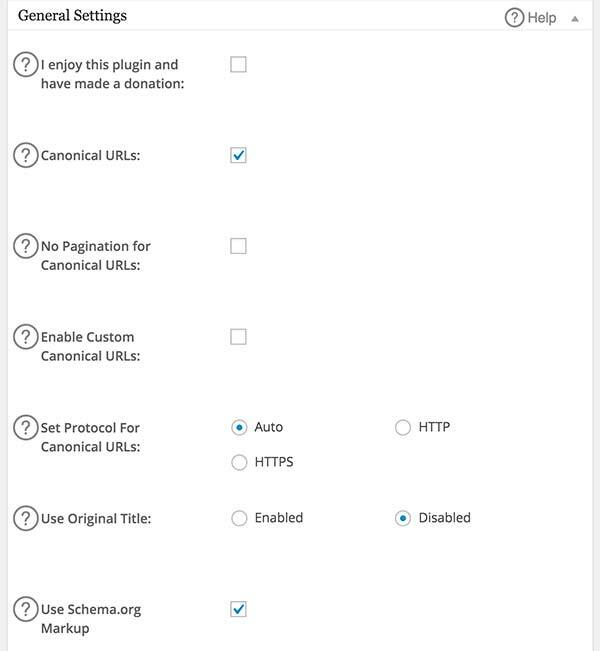 All in One SEO allows you to set noindex tag, set canonical url, exclude from sitemap and many other options. We will recommend you not to change these until you know what you are doing. Activating a module will add its own settings page under the plugin’s menu. You can visit that page to configure that particular feature and how it behaves on your site. Yoast SEO and All in One SEO Pack are the two most popular WordPress SEO plugins in the market. Both plugins have their fans and users who consider these plugins essential for their websites. They both offer powerful features. But if you are a Yoast SEO user, then you may miss a few features. Content analysis in Yoast SEO plugin which shows you an SEO score and recommendations on how to improve that. See our full Yoast SEO Review for detailed analysis. We also noted that All in One SEO has exhaustive list of options on each settings page. The plugin asks users to make too many decisions on each page which is kind of overwhelming. The user interface of All in One SEO is an eyesore. It requires users to scroll a lot and when they scroll they miss out on the information above which is now invisible. This makes users feel out of context when setting up lengthy settings page. All in One SEO has extensive online documentation as well as inline contextual documentation built right into the plugin. Users can get premium support and extra features for $39 and then $10 per month or $49 each year. Premium support is offered by plugins own support forums, video tutorials, and via email. As with many free plugins, free support for the plugin is not guaranteed. All in One SEO Pack offers a comprehensive set of features to become your SEO powerhouse. It may not be the most easy to setup and use. Beginners not familiar with SEO jargon may find it quite difficult. We give it 3.4 out of 5 stars.